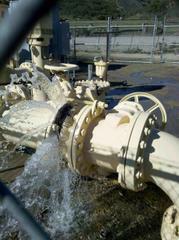 Solano Verde Mutual Water,Somis SYS failure no water until 2-14-11.Solano Verde Rch residents cease water use. This morning, Solano Verde Mutual Water Company suffered a major blowout of the 14 inch flexible coupling at the booster station. There is only 6 feet of water left in the reservoir. Monday, February 14, 2011 is the earliest that this may be fixed.